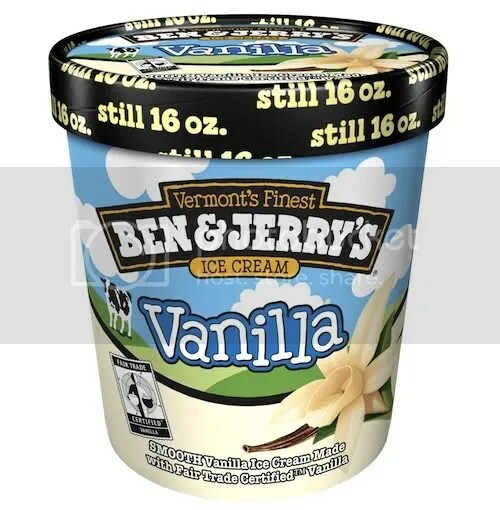 Did you know that Vanilla was the first flavor of Ben & Jerry’s ice cream? The brand may be known for their other more memorable flavors, but plain ol’ Vanilla is what got Ben & Jerry’s started. It’s received many awards and accolades over the years, and just happens to be my favorite, because it’s so yummy and goes well with everything! Plus, Ben & Jerry’s Vanilla Ice Cream is made with fresh milk from Vermont Family Farmers and Fair Trade vanilla beans. Fair Trade means that farmers in developing countries are paid a fair price for their harvest, which allows them to earn a better income. Good to know. Ben & Jerry’s Vanilla Ice Cream is the perfect compliment to just about any dessert, but it’s perfect with a holiday pie! My neighbor baked a delicious pecan pie for us for Thanksgiving, and adding a scoop of Ben & Jerry’s made it complete. The combination of the cold ice cream and the warm pie? Appropriate that the dessert plate has clouds on it, because it was heavenly. I also love this ice cream with apple pie, chocolate cake, strawberry shortcake… I could go on and on. For something a little more indulgent for the adults… if you have just a little bit of vanilla ice cream left in the container – not enough for a full serving – let it melt and a little vanilla-infused vodka and chocolate liqueur to make a rich and creamy chocolate martini. Ben & Jerry’s Vanilla Ice Cream is also wonderful by itself, of course! What would you serve Ben & Jerry’s Vanilla Ice Cream with? Leave a comment below to be entered to win a fantastic prize package like the one pictured below. It will include three coupons for free pints of Ben & Jerry’s ice cream, a Ben & Jerry’s apron, ice cream scoop, dessert plates and more. A prize valued at approximately $50. Entry period ends Sunday, December 18th, 2011. US entries only, one person per household. 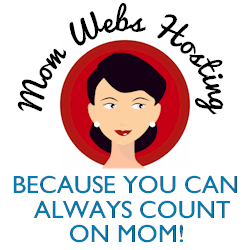 Leave a separate comment per entry and a valid email address. Winner, chosen at random, has 3 days to claim their prize. Disclosure: I received a package similar to the one pictured above, as well as a few pints of Ben & Jerry’s to facilitate this review, but all opinions are my own! I would have some apple crisp with mine. Thanks for the chance. I think I would make apple crisp to serve with the ice cream! Yummy! I’d serve Ben & Jerry’s Vanilla Ice Cream with homemade Chocolate Cake. Thanks! I would love to have a nice warm piece of pecan pie with a scoop of ice cream. I would serve it with brownies and walnuts! Yum!! I’d serve birthday cake with it…would be perfect for my 3 year old’s upcoming birthday! I would serve a warm chocolate brownie. I like to keep it simple. I’d serve it with a hot brownie. I would serve it on top of warm, homemade, gooey brownies lol-yum! I’d love it with hot fudge and spanish peanuts for a yummy sundae. I would serve a big scoop on top of a warm slice of apple pie. Oh to the em to the geeeeee! You had me at “Ben” – Also? I bet you look totally awesome in that apron! I would serve it with some nice warm peach pie or have a rootbeer float. They both sound yummy right now. I would serve it with apple pie, yummy! Love Ben & Jerry’s! So good! With the german chocolate cake I am making this week. I’d love to serve apple pie with mine. Or just eat it as it is, with a dash of chocolate syrup. I would have it on a plate all by itself, with maybe a hint of Caramel Suace drizzled over it! I sub to your RSS feed by Google Reader. I’d serve this with baked apples! I would serve with fudge brownies! I’m a subscriber and I sent tweet out on contest! Thanks for offering this tasty giveaway. I would love to win, even if I stand the chance of being told that I look like a cow! i would serve it with hot brownies! I would serve over warm apple pie! I would put the ice cream on top of a warm fudge brownie and with chocolate syrup on top! I eat my ben n jerrys all by itself! Its that good! Nothing it’s enough by itself! I love ice cream!! I wouldn’t serve it with anything. Ben & Jerry’s tastes just fantastic by itself! I would serve it with chocolate cake. I would serve it with pecan pie. I would serve it with my triple berry pie. I would serve it with hot fudge cake!! I would serve the ice cream with my famous apple pie. I like The domestice Buzz on Facebook. I would serve it with apple pie for Christmas! I would serve Ben & Jerry’s Vanilla Ice Cream with hot cherry pie. Id serve it with a big huge helping of bread pudding. I would serve the Vanilla ice cream with more of the same. I never ruin the flavor of the ice cream with pie! I would serve it with chocolate cake! I’d set up a Sundae Bar and invite over my Mom’s Club! I would drizzle warm caramel on it. I would serve Ben & Jerry’s Vanilla Ice Cream with pecan pie…yum! I would serve it with hot fudge brownies…..yummy yum yum!!!! I would serve it with warm oatmeal cookies. Yummy! The cow apron sounds cute! Now I’m craving ice cream! I’d have the little bit of left over ice cream with my home made blackberry liquour! I’d serve it with Apple Pie. I’m a subscriber to e-mail. I would serve it with fruit. Nothing like taking berries and putting them with vanilla ice cream. Yummm! mmmm, i’d love to win some super yummy ben and jerry’s! This looks like a really yummy giveaway! I would serve it with warm brownies. I would crumble up some nutter butter cookies into it! Yummy! I love Ben and Jerry’s. I love magic shell on my icecream! I would serve with my Caramal Apple Cranberry Pie! Yum! I would serve this with brownies. Definitely have to have ice cream with apple pie! Mmmmm I love to serve this with hot cherry pie! Thanks for a chance to win this fun prize pack! Sounds great with apple pie or hot fudge sundae cake. I like it in a root beer float. FB follower as jennifer schmidt. I like to use vanilla ice cream in place of whipped cream in “adult” (spiked) hot chocolate and dessert coffees. I would serve it with apple pie. I would serve Ben and Jerry’s icecream with pie or cobbler. I love ice cream with my brownies. Thanks. I would serve Ben & Jerry’s Vanilla ice cream with apple pie and blackberry cobbler. I would serve Ben & Jerry’s Vanilla with warm, fresh baked Buttermilk Pie. Perfect together! I would serve it with cherry cobbler. I would serve it all by itself because it’s THAT good! I would serve this with chocolate cake. Yum! I like it alone with chocolate syrup.. I would serve it on a warm waffle covered with strawberries. It would be great with warm apple pie. There’s so much you can do with vanilla. Serve with chocolate syrup or fruit or pie or cobbler or brownies. Use is shakes, floats, smoothies. It would taste fantastic on my Dutch Apple Pie. I would love to win ben and jerry’s is the best mmmmm!! I love this with lots of whipped cream mixed in! this ice cream tastes GOOD! i would serve it with more ice cream! I would serve it with Apple Crisp. I’d plop a scoop on a piece of my boyfriend’s fudge/ walnut brownies. Got milk? I would serve it with hot chewy brownies with caramel sauce and peanuts. Yum! Well, I like ice cream all by its lonesome but I guarantee that a cherry or apple pie would dearly love some Ben & Jerry’s on top! I love their ice cream! I would serve their vanilla ice cream on top of my homemade apple pie. Thanks for having the contest! Ben and Jerry’s vanilla ice cream on dad’s apple pie sounds wonderful about now. I would service it with peach cobbler. I ‘like’ The Domestic Buzz on facebook. I would serve it with home baked apple pie. I’d serve Ben & Jerry’s Vanilla Ice Cream on top of Chocolate -Coffee Cream Roll Cake! (My-Favorite Recipe for Dessert on Christmas & New Years Dinners.) Yummy!